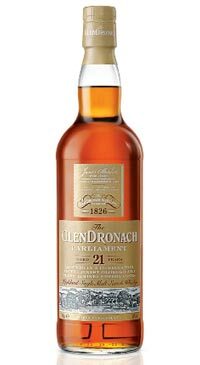 A 21 year old Glendronach released in 2011, and aged in a mix of sherry casks (Oloroso and sweet Pedro Ximenez dessert sherry). The result is really very good indeed. Soft smoke and lemon juice, cedar wood, apple peel, toasty oak, soft earth, date and walnut cake and a hint of freshly made espresso. The palate shows Golden syrup, soft, juicy raisins, tangy oak notes, peach, cherry blossom, cocoa and honeydew melon. Sherry tones lead the finish, with a hint of sulphur, chocolate, luscious fruit and pepper.